Tucson is hot right now, and not just because of the rising temperatures. 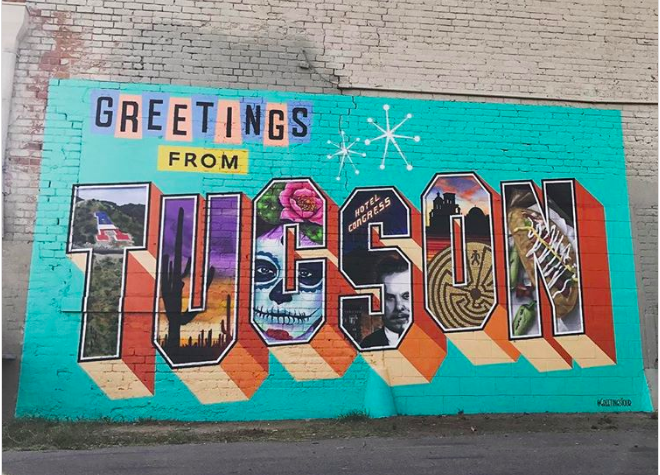 According to news website Business Insider, Tucson comes in at number nine on the list of 10 U.S. cities where everyone wants to live right now. The website referred to data compiled by realtor.com, including Census Bureau migration data, search traffic on realtor.com and population growth estimates. Check out the article here and revel in the wonderful feeling of being a Tucsonan. It seems like almost every Tucson wall tells a story.